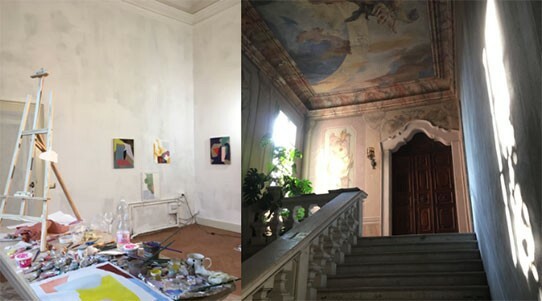 November/December 2018: Palazzo Monti Residency. Such a treat to live and paint in the historic heart of Brescia, Italy, moments from Roman ruins and around the corner from the incredible Santa Giulia Museum. September 2018: Norman Bird Sanctuary's pilot residency brought five artists together to live and work in beautiful Middletown, Rhode Island. It was a dream to make work within walking distance of the ocean. 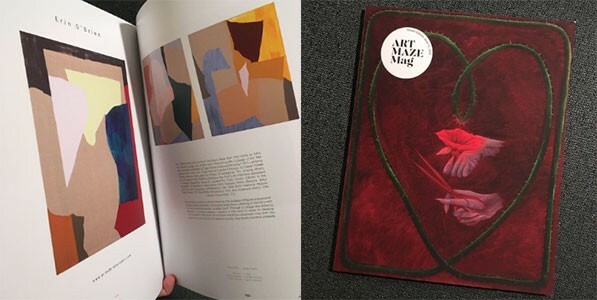 May 2018: My interview with Maake Magazine is now online, part of Issue 6, curated by Holly Coulis. March 2018: The hard copy is out! 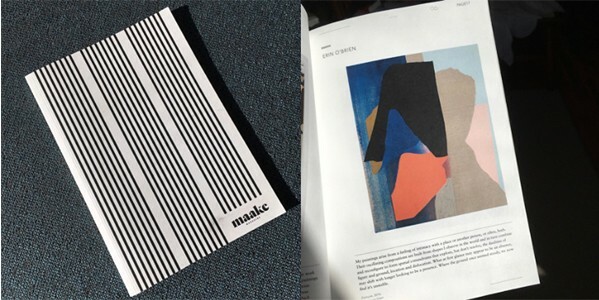 Maake Magazine, Issue 6. 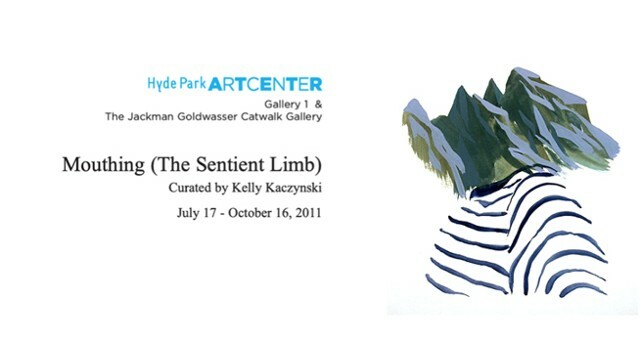 Curated by Holly Coulis and featuring Misyuta Aksiniya, Paolo Arao, Claire Colette, Sean Downey, Sharona Eliassaf, Joy Garnett, Philip Hinge, Clinton King, Matt Kleberg, Mike Linskie, Sangram Majumdar, Heather Merckle, Bridget Mullen, Erin O’Brien, Tessa Perutz, Paul Rouphail, Christopher Saunders, Pete Schulte, Zuzka Vaclavik, and Lumin Wakoa. May 2016: I'm artist in residence at Weir Farm National Historic Site for the next five weeks. The former home of the American Impressionist, J. Alden Weir, the farm is the only national park dedicated to American painting. April 2016: Presenting at 17: I gave a talk about my work and process on April 17th for Elise Gardella's wonderful salon series. 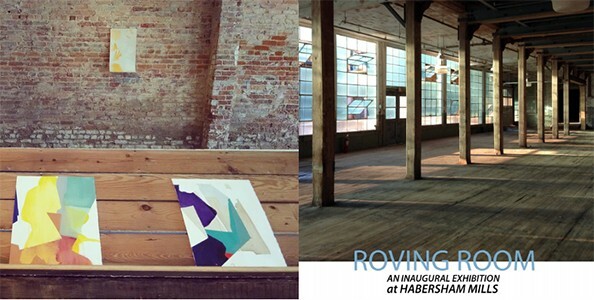 November 2014: The Flat File: Year Two, at Tiger Strikes Asteroid in Brooklyn, includes work by 33 international artists which will be featured in TSA's online flat file for one year. May 2011: Gorky's Granddaughter Studio Visit Video: Zach Keeting and Chris Joy stopped by the studio and recorded our conversation as part of their amazing ongoing video project. 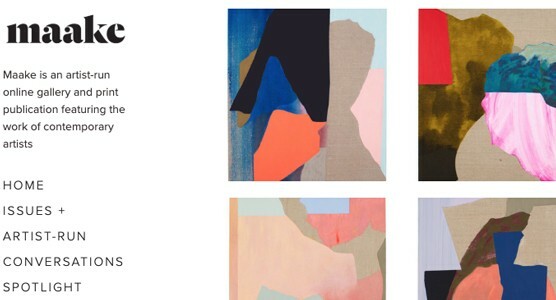 April 2011: The Regina Rex FlipFile features two-dimensional work 12×12 inches or less. This ongoing project begins with works by John Almanza, Brooke Berger, Biff Bolen, Michelle Bolinger, April Childers, Vince Contarino, Vince Dermody, Corey Escoto, Andreas Fischer, Katy Fischer, Beth Ganz, Christopher Gartrell, Candace Gottschalk, Clare Grill, Carl Gunhouse, Sue Havens, Tae Hwang, Hwan Jahng, Jac Lahav, Erin O’Brien, James Post, Meghann Riepenhoff, Ariana Page Russell, Melissa Scherrer, SKOTE, Josh Slater, Geoffrey Todd Smith, Patrick Smith and Adam Thompson.